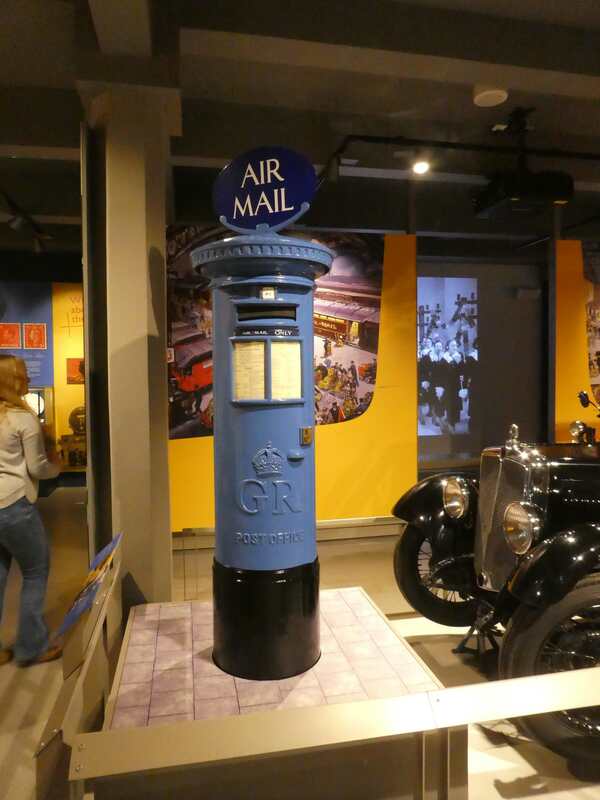 The Postal Museum in the Farringdon area of London, and close to the Royal Mail Mount Pleasant sorting office, is a new museum, which replaces the long closed National Postal Museum. 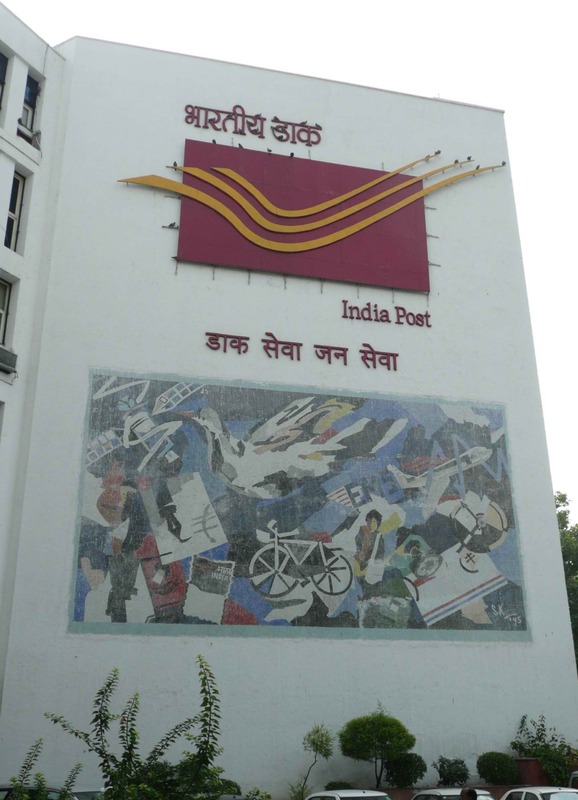 This is the only Postal Museum in the world to feature a ride anything like "Mail Rail". 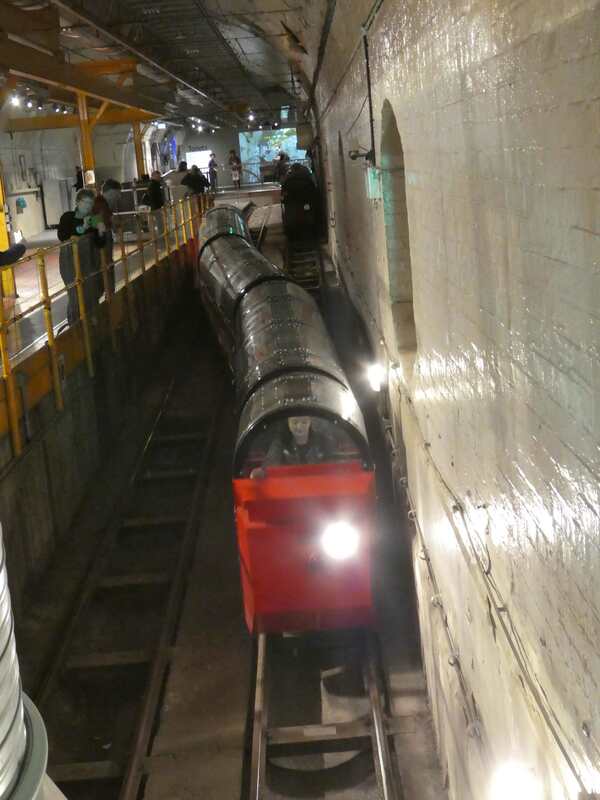 Mail Rail is an underground narrow gauge railway that connects various post offices across London, and was used to transfer mail between them avoiding surface traffic congestion. The railway was mothballed some years ago, but part has now been bought back into use for an interactive ride. Go to: https://www.postalmuseum.org/ for full details of the museum. We visited in February 2018, but found the museum disappointing for philatelists. It seemed quite small and there were very few stamps to be seen. The museum appears to be largely designed for children, and if you have children between about 5 and 10 years old, then it would be an excellent place to spend a morning. 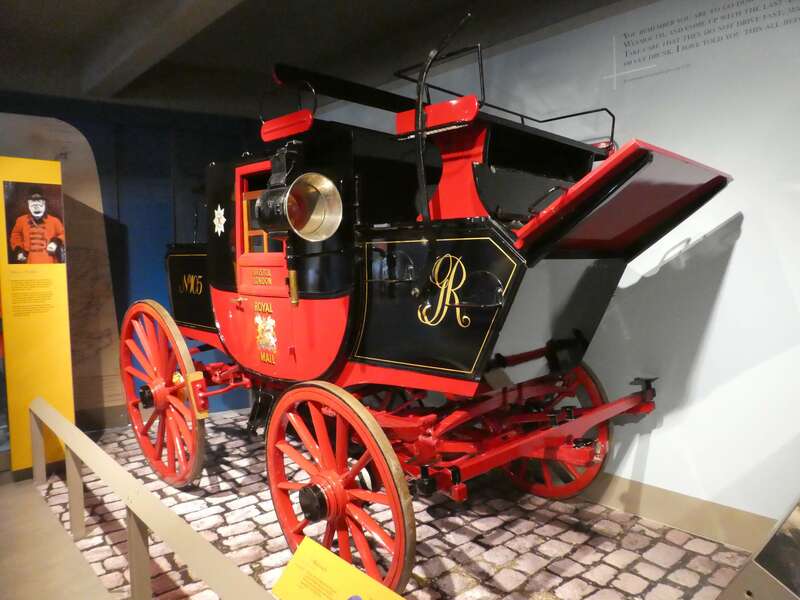 There were a lot of exhibits of postal paraphernalia, letter boxes, old mail coaches, sorting equpment and so on. I think the object may have been to ensure that the youngsters today understand what a letter is, and once they do that, how it passes through the postal system. The mail rail part of the museum is completely separate, just along the road through, what were then, some completely unlabelled doors. We only knew where to go as someone was coming out. Very strange! So, you need tickets in advance for the mail rail, as the trains are quite small. You travel at the boooked time, but there are other attractions in this building too, which you see after the ride, the way it's laid out. There are demos of sorting as it was done on trains for example and an interactive exhibition in the old engineering depot. Again, rather more for the children, although the equipment there was certainly of interest. The ride itself, taking maybe 20 minutes, was certainly enjoyable, though not if you're claustrophobic! Lots of nice sound effects and visuals etc. on the journey. There are more serious things to be done at the Postal Museum, as they have extensive postal records in an archive that can be consulted. It would be wise to book this in advance, which you can do via their website, which includes an extensive index of the material available. We planned to visit this museum on 9th November 2015. It receives excellent reviews on the French web sites. But this museum is CLOSED and, according to the helpful security folk at the Post Office there, will remain so, for about the next two years. When we went, the building housing the museum was in progress of what appears to be a complete renovation. The museum is next to the Post Office on Boulevard de Vaugirard. 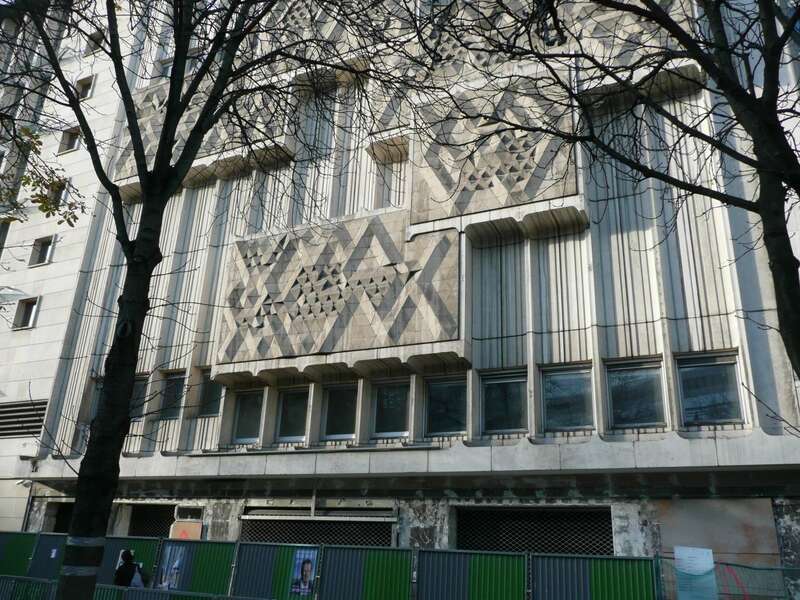 The location is alongside the Gare Montparnasse, so it is in a convenient location to visit. If you're thinking of visiting Paris, and intending to go to the postal museum, make sure you check it's open, before wasting your time on a visit. Unfortunately no one in the French tourist organisations seems to have let people know there's no point in visiting at this time. But as there are so many other great things to see and do in Paris, just enjoy them instead! We visited this museum in September 2015. Although their web sites talk about the material to be seen at this museum, in fact it's pretty disappointing! We read that they had Indian stamps from the beginning, so including the famous "Scinde Dawk" as well as all the other classic material, including the Indian states, etc. The truth is rather different. They have every stamp on show, but only those issued after independence, in 1948. The staff here are friendly and helpful, and there is a small shop selling philatelic materials. And, a bonus, admission is free! But overall, I'd suggest that if you have limited time available, you might consult a decent stamp catalogue to look at these, rather than taking time out of your vacation to visit. 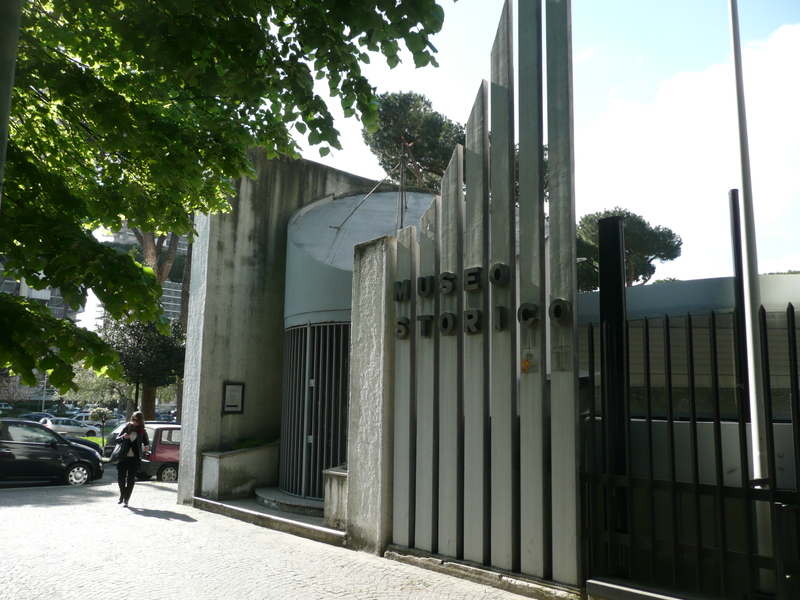 This little known museum is located towards the South of Rome, just a block away from the metro station "EUR Palasport", and well away from the main tourist areas. It's not easy to visit but it's very worthwhile. You must make a reservation by calling them on +39 06 54442045 or 54443000. (see their website on http://cultura.mise.gov.it/museoPPTT_fe/loadcard.do?id_card=2&force=1). Our hotel spent a long time trying to make contact with them and was eventually successful in getting us an appointment to view. That consisted of a 1 1/2 hour guided tour of the exhibits, the museum having been specially opened up for us. Unfortunately we were not able to wander round as we might have liked, but you can't have everything! If you're in Rome it's really worth the effort of arranging a visit, and they even gave us a free, lavishly illustrated, souvenir book "Il Museo Dello Post" (in English and Italian) at the conclusion of our free visit. The collection was started by the then General Director of Telegraphs, Ernesto D'Amico, who from 1878 to telegraph collected equipment and materials gathered from the Post Offices of the Italian states prior to unification. Inside the museum you can see devices by Meucci and Morse, the floating laboratory used by Guglielmo Marconi in his experiments, the Pantelegraph ancestor of the fax, and one of three copies in the world, of the cryptographic machine Enigma, used during the second World War to transmit coded messages. The museum also has historic mailboxes and an excellent collection of stamps, as well as a section dedicated to the history of telegraphy, telephony and military radio communications.